The project grew out of my community in Minneapolis, in the late 1990s, where I was hanging out in a neighborhood called the West Bank. It was there that my friends sought out the sign painter whose work dominated the area. 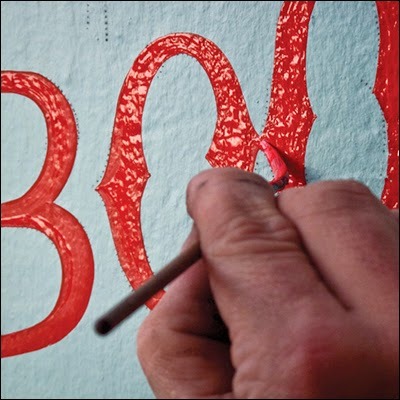 We were all interested in letters and painting at that time, but it wasn’t until I learned of Phil Vandervaart, that I knew there was a person whose job was a “sign painter.” My friends started hanging out in Phil’s shop and learning traditional techniques. I went another direction in the art world. Fast forward 10+ years and here we all are still doing what we love, me making art, which now includes film, and them all painting signs. 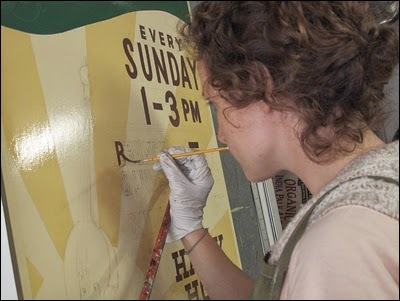 Since letters and signage have always been of interest to me, I was always surprised that there wasn’t more information available about sign painters, and when it was time to work on a new project, I approached Sam (below) about the project. We had collaborated on a number of things in the past and knew we wanted to do something substantial together. How much time did it take to complete this project? We spent a solid 4 years on the making of the film, but honestly, I still feel like we are working on it. Our investment in the community and how the film plays out is substantial. If you were able to transport yourselves into the past and film “Sign Painters,” who and/or what would you film? There were a definitely a few folks that were mentioned repeatedly, that had already passed away, we would of loved to have sat down with. And I guess, cityscapes of all sorts—both large metropolitan areas and small towns. The styles and mass amounts of hand paint would of been noticeably different. 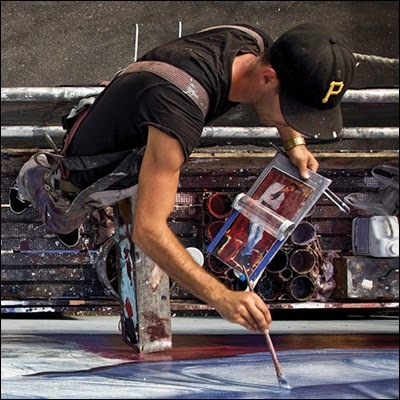 How did you discover the sign painters you interviewed? 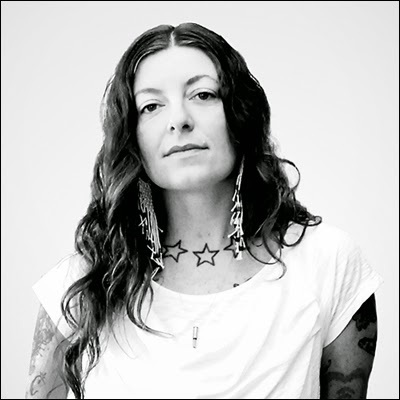 We initially started with the core group of folks I came up with in Minneapolis and the people they had apprenticed under, starting with Phil, and moving to their own respective cities where they had moved. Then we journalistically started following leads, while simultaneously began to talk about the project online. Basically within a few months, we were overwhelmed with subjects. It was awesome and very unexpected. 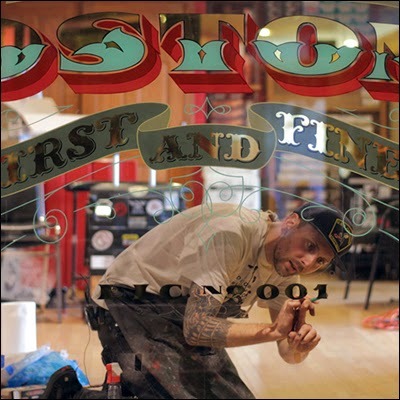 How did you get the sign painters to generously talk about themselves and their passions for lettering and signage? What are must-don’ts in achieving an informative interview? Both Sam and I are very casual communicators and ask a lot of questions, normally. I think the combination of our personality types, which seemed to put folks at ease, and my background and context for sign painting, why I was interested and how we thought this film would be important, was the jump off. Then what we quickly realized is that most of these painters had never been asked about their jobs before, and were basically obsessed with what they did. Once the ball was rolling, no one had a lack of amazing things to say. With the older generation, who was working through the late 1970s–early 1980s, the intense shift of the industry when vinyl plotters came into the mix. For those younger folks, lack of access to information and people to learn from. 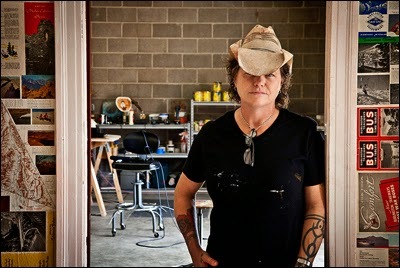 While filming “Sign Painters,” what were some memorable moments and/or details? This is always a difficult question to answer. Both Sam and I were blown away by the incredible stories we collected from all of the folks we met. So much footage was cut—we stopped shooting at around 120 hours. But I think it’s safe to say, for both of us, that getting time with the legendary Keith Knecht was an absolute treat and a turning point in our shooting process. It was then we realized the absolute importance this film was going to be to these people whose entire lives have been dedicated to making our visual landscape look better. With all of the footage that was collected, how did you edit it into a cohesive story? What was your approach? What did you keep in mind? How long did it take? The editing process for me, personally, is always the worst part of making any project—photos, film, writing. I’m a gatherer, and it’s apparent in the way I work. I think with this project, it was no different. We just shot and shot and shot with very little agenda, except wanting to get as many perspectives as possible from the industry. We also went through a string of editors, due to a series of unforeseen events, which held things up a bit in post[-production]. Being proudly biased (in “The City That Works”), I appreciated that you had the Chicago-based sign painters, Jeff Williams and Pat Finley, as a narrative spine throughout the film. Was this decision arrived during the editing process? That decision was made to tie all the stories together towards the tail end of editing. We needed something to lace all the segments together, and we realized that even though we had been hanging out in sign shops for over 2 years, there was very little footage of process. So it seemed like the best way to get some painting up in the mix. What primary tools did you use to make the film? Canon 5D mark 2, Canon 7D, and Sony F3. What’s the place of “lettering skills” in today’s digital society? My opinion is that the place of lettering skills in today’s digital society are the same as they have been throughout history, totally vital. I suppose you could pick a part what lettering skills mean, and get into detail on each level, but overall, having the training to do something correct starting with a pencil, and then having the choice—to either go “analog” with a brush or choosing to bring it into a digital platform—is where it’s at. Ken Barber, from House Industries, speaks to this a little in the film, as does Doc Guthrie, who is the teacher at Los Angeles Trade Tech College. 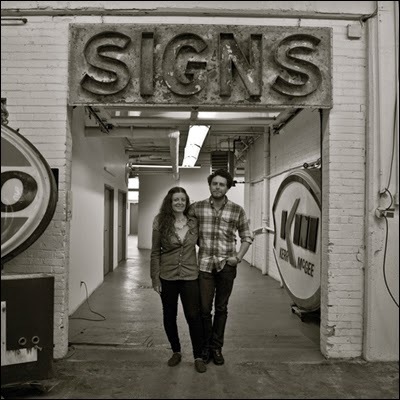 How has making “Sign Painters” affected you? Making “Sign Painters” has reminded me about the importance of spending the time to learn something the right way. It has also heightened my appreciation for folks who dedicate themselves to something with a passion that I can only hope I find for a specific skill one day—for now, I have to settle with my manic creative practice. Do you have a next documentary in the works? What is it? Sam and I are both continually working on lots of projects, some collaborative and some on our own. There is no way to focus on one single thing when you do the freelance hustle. I am currently working on a new book-based research project with Cris Siquiera, but we haven’t made the topic public yet, but I’ll be making the announcement soon. Both Sam and I are on the social media tip, so if folks are interested in following us to keep track of our projects, that’s the best way to get updated. 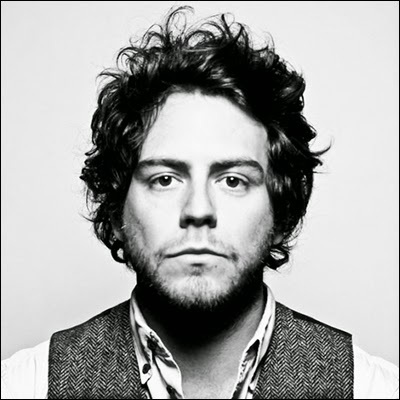 If a person approached you and said, “I want to make a film,” what’s your response? Find a best friend who you can spend five years with and just keep moving forward with focus. It also helps to have a creative community to tap into for favors, and more favors. Or if you are lucky, parents with money. Big thanks to Kyle Greenberg of independent filmmaking organization BOND/360 for this interviewing opportunity. All photographs courtesy of Sign Painters Film.